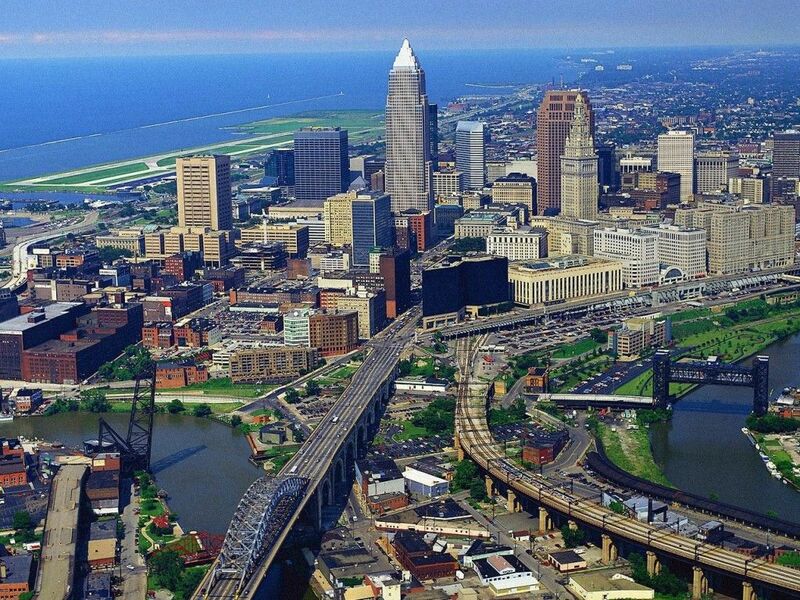 We want to be your Cleveland Oh area property management company. When choosing a property management company, it is really important to find the one that will be the best fit for you and your needs. There are many factors that can vary from one company to the next. For example, maintenance, fees, payment policies, management systems, etc. There is no right or wrong way to do things, but there are pros and cons to each. Only you can decide which property managers are best for you. Clearly, we hope to be able to serve you and meet your needs. However, here are some other property management companies serving the Cleveland, Ohio area that you may want to look into. David Terbeek with RE/MAX. I have had many interactions with David and found him to be very professional. He is a member of National Association of Residential Property Managers (NARPM), which is an industry standard. Being a part of that indicates a level of professionalism and learning. Seller’s Realty – property management division. I have heard no complaints about them. Although I cannot believe everything I hear, I wouldn’t recommend a company that I consistently heard complaints or very negative reviews about. That is not the case with Seller’s Realty; they know what they are doing. Howard Hannah Property Management. While Howard Hannah is obviously not a new company, they are fairly new to the property management industry. However, they have a solid platform, which is being managed by Jared Zack. Cleveland Property Management. The are one of the oldest big company’s in the Cleveland area. I heard the sold part of the company, but they are still in property management. They are experienced and professional. I have not heard any complaints about them. In general, they are a solid choice. Bob Kollet with RE/MAX. Bob is a good person. He manages a small portfolio, and has good experience for a small company. If you are just starting to look around for a property management company, be sure to spend some time reading my blog and watching videos. I do my best to answer all the most common questions we get asked. However, don’t hesitate to look at some of these options as well. Also, don’t hesitate to give us a call. We would be happy to sit down with you and answer all your questions. Our experienced investment property management team can relieve you of the burden of managing your rental property while saving you some serious money! Call us today at (440) 220-7300 to see how we can help you! 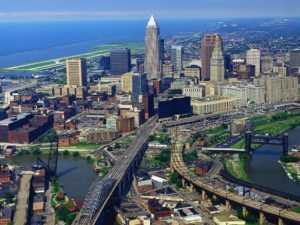 Do you manage your Cleveland Ohio property or does your property manage you? Do you manage your Cleveland Ohio property or does your property manage you? This is a question you may ask yourself. Being a landlord can be hard and time-consuming. Tenants may feel the need to call you at all hours of the day and night. they may or may not pay their rent on time. Things get damaged. Neighbors fight. The life of a landlord is one filled with uncertainty and surprises. This can put a big burden on a landlord trying to handle everything on their own, and It can play havoc on their life. It can negatively impact relationships, finances, and peace of mind. It is why many landlords leave the business or fail to make their business profitable. When you feel like your properties are managing you, it may be a good time to look at what a property manager can do for you. Here is what we do for our property owners. We manage. This one may sound like common sense, but managing properties is our business. Our sole focus is on managing properties and making the property-owning experience as stress-free as possible, we have gotten quite good at it. How do we manage? Through the use of procedures, checklists and more checklists. We have learned that while following checklists may feel tedious, it actually saves time in the long run. It eliminates forgetting to do things. We never have to stop and wonder if the unit is completely ready for rent We don’t have to leave a lease signing wondering if we remembered to tell them everything. There are procedures and checklists in place for everything we do. This includes collecting rent, accepting maintenance requests, dealing with after hour’s emergencies, preparing rental units, and showing apartments. If we discover an area or process we don’t have a checklist for, we create one. We set tenant expectations. Not setting tenant expectations from the start leads to unneeded drama. We communicate with tenants. Set times they are welcome to call as well as acceptable topics to call about. We accomplish this with our tenant expectation checklist. This starts with requiring new tenants to watch a video that goes over the lease. It also covers how and when to report problems. This eliminates the Sunday morning calls to complain about the neighbor or the 3 a.m. calls to report the toilet is clogged. One of the greatest challenges for landlords are dealing with “emergencies.” We have learned that setting expectations and following our checklists and procedures eliminates emergencies. Eliminating the emergency calls also eliminates a great deal of the stress. We work hard for both or local property owners and our out-of-state property owners. We can manage your properties, and we can provide you peace of mind. Why would a property manager require additional insurance? Well the big reason is to protect you the landlord client. 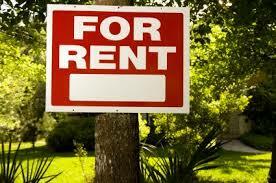 There are many risks when managing and owning rental property. If you are sued for any reason we will most likely be sued. Yet when you agree to work with our company and most any other manager we are indemnified by our clients for these risks. The main problem is that if we are not named on your insurance policy the attorney your insurance policy appoints will only represent you and not us and we will have to incur a separate attorney to represent us. Those attorneys may then fight or might work together. Either way we end up no longer being in the same corner and our clients could find themselves in the positions of paying not just the insurance deductible but also our attorneys fees. Our clients don’t want that to happen nor do we. Why do we have to have your insurance information as an owner? Winters alone in Northeastern Ohio have been fairly difficult this year for landlords. Between ice dams, water backups and freezes in 2015, I’ve seen damages from just a few hundred dollars all the way to $30,000 PLUS! When an emergency arises property managers need to be able to contact the contractors covered, we need to know what is covered, and what can we actually pay for. You don’t want to call an owner in the middle of the night or an insurance agent for that matter asking a million questions. That would just delay the whole process and possibly cause more damages to the property. To be prepared for an emergency you need to have a copy of the owner’s insurance policy. Make this a requirement and add the copy to the property file. Many homeowners don’t. I suggest calling your insurance company and asking what your coverage is. Somethings you want to try to purchase is the loss of rent coverage. It is a little more expensive to purchase but definitely worth it. If a tenant moves out a few months before their lease is up then your policy covers those months of rent that you would lose. You also want to make sure your policy covers water back up, for when the sewer gets backed up. We all know this is just something that happens.Another requirement we have added is tenant insurance. Why do we require your tenants to purchase tenant insurance? It is very affordable ranging from $9-$15 a month. We are able to ensure the landlord’s name is included on the policy. Require your tenants to purchase a policy through you. You will be able to ensure the landlord’s name is included on the policy. Requiring this will add double coverage to the home. As well as take care of a lot of issues when you have an insurance claim. For example, if your tenant has to stay in a hotel for a night due to a water leak Who doesn’t want that? Your home should also be covered if there is damage caused by tenant negligence. It will also help you take care of several issues when tenants do have a claim. Hotel stays, for example, are one of the coverages that many tenant insurance policies include. Many insurance companies will give a discount on your policy when you require tenants to purchase insurance. This is one way we help landlords when they need it most! Our experienced investment property management team can relieve you of the burden of managing your rental property while saving you some serious money! Call us today at (440) 220-7300 to see how we can help you! How many books do you read a year? Me personally, this past year I read around 45-50 books if you include all of the audio books. Our team actually reads one book a month together because we value learning so much. This in return helps our team to become more innovative and allows us to better our service for our customers and clients. The following books have influenced my life and our team. Feel free to look into them. 1. The Brain That Changes Itself / The Brains Way of Healing by Norman Doidge, M.D. This is an amazing book with a boring title. It is about a doctor who had a big role in developing a surgical checklist for the World Health Organization that has saved many thousands of lives. Where good ideas weaves together research and biographical stories from some really smart people. There are many books on learning but this book talks about how to take what you learn and notice and put it together into innovation. It changed the way I thought about innovation caused me to focus more on how I can take the information I learn in my extensive reading practice and implement it. The author, Doc Childre, did a lot of interesting research on chemical, hormone, and immunological effects of changing the way you think. There are specific exercises of building awareness around your heart. Your heart, in addition to pumping blood, is a HUGE part of your emotional system. These exercises make you think certain feelings which have been proven to affect the hearts synchronization with brainwave patterns. I’m working on teaching these exercises at work and even teaching them to my kids. This book was written many years ago and after hearing it referenced over and over again I thought I would finally read the source. It explores Viktor Frankel surviving the Nazi Concentration Camps. He describes as they faced death daily. He describes how the survivors fought as their humanity was stripped from them, that they still retained the essence of humanity, the ability to choose their own thoughts and feelings. This is true to such an extent that many of his fellow survivors claimed to not regret their terrible experiences because without them they would have never been able to learn the unusual lessons from their experiences. This is a classic well worth reading if you haven’t and you might find your self-crying a bit. I won’t include this officially in the list of 2016 best books because I have not finished reading it. However, it is a very fun and powerful book. It has all sorts of cutting edge relevant ideas for peak performance. The author does over 200 interviews with billionaires and people at the top of their industries!! It’s like real-world stuff that happened in the conversations between two people. He pulls together cliff notes on the points that stood out to him and distils them into the essence of really cool stuff. I hope you enjoy these books and get one or all of them to read. If you use our Elyria OH Property Management services to evict a tenant, we might actually walk through the square here downtown Elyria before going to eviction court. Why use an Elyria, OH Property Management professional? Consider the following. You can feel secure as you use our Elyria professional services which work as a system to protect you while maximizing your return on your income property. Owner clients have reduced risk with our leasing and tenant guarantees as well as our easy out contract. Save money and get your house rented quickly with our professional videos, pictures and descriptions being exposed on 100s of websites and way more. Realty Trust Services 7 point screening process gives owners the best possible chance of getting a great tenant. Rely on our experience to most efficiently prepare your house for rent and select an ideal rental payment. Landlords can rest easy, and get an uninterrupted nights sleep, knowing our 24 x 7 take that midnight call and dispatch help as necessary. Be in the know and head off potential problems before with exhaustive property walk through video reports. We handle all bothersome collection and emotionally draining collections calls so focus on family and business. No tax worries this year when you prepare your taxes because all of the reports will be neatly delivered with your 1099. You have the option to rent, lease option and / or sell your home, simultaneously, if you desire. Notes: Water utility can be put into tenant’s name, a $150.00 deposit will be required from the tenant to be paid up front. The tenant must provide a lease agreement at the same time they pay the security deposit. Deposit will be returned to tenant after six consecutive payments have been made. There is a $75.00 (can be made via visa/mastercard over the phone) charge to have water connected for owner. This is returned to owner after six consecutive payments are made, also they require the owner to provide some proof of purchase (settlement agreement/deed), also, at times the water company may require someone to be at the property the day of connection (this depends upon how long the property has not had water connection). The connection times are either 12-1 or 1-4 Mon-Friday. A Property Management Agreement is sufficient enough for us to connect utilities, make changes to the address/account, and we can fax any information we need changed or to have utilities connected to 440-326-1588. The only person who can receive a utility bill is the owner of the account, the owner of the property will receive an owner copy of this bill. Bills are sent out between the 17-19 of the month and are due between the 2-3 of the month. The meters are read once every month. Notes: It is up to the landlord and tenant as to whose name the utilities should be under, utility can always transferred. Only time there would be a need to provide proof of residency is if there is a previous outstanding balance with the company. You would need ID and a copy of the lease. What is asked when transferring utilities into company name; you are asked the address of the company, company name and identification number (if you are not transferring a companies utilities, you will need the individual’s social security number). If the tenant is supposed to have transferred utilities but fails to, Columbia Gas will send out a letter stating that utilities will be turned off in ten days if the tenant still fails to contact them. We cannot fax in information on tenants’ behalf nor can we call on their behalf to have utilities put into their names. We can fax over a Property Management Agreement once the tenant or landlord has the utility in their name so that we may then access the account information. Bills come out every month and Columbia Gas tries to read meters every month, when they are unable to, they will estimate. You can make a request to have your meter read. Questions that are asked when transferring a companies utilities; Need address of the company, property name/company name, tax identification number (if you are transferring and individual’s utilities not a company, you will need their social security number), credit check done on company name, what is the primary source of heat? is the water heater gas or electric? They will allow you to enter a different mailing address for the bill to be sent to. Multiple bills may be sent out at no extra cost. If utilities are in tenant’s name the tenant must request this otherwise, we will nor will the landlord be able to have access to bill. Change of service cannot be faxed, person must call in themselves, we can call on a person’s behalf only if we have verification information, so it is good to get the client’s social security number. Ohio Edison sends bills every month as well, they attempt to take the meter reading every month. Elyria is one of the 9 cities in Lorain County in Ohio. The population, as of the 2010 census, was 54,533 but, as of 2012, it has decreased to 54,086. Elyria is named after its founder Herman Ely, and the Greek name Illyria. Elyria is home to Lorain County Community College. Herman Ely discovered Elyria along the Black River in Ohio in 1817. Ely built numerous things on the site. Things such as a log house, dam, gristmill, and sawmill. When Ely died in 1852, there were: five churches, three grocery stores, three flour mills, a newspaper, and a population of more than 1,500. 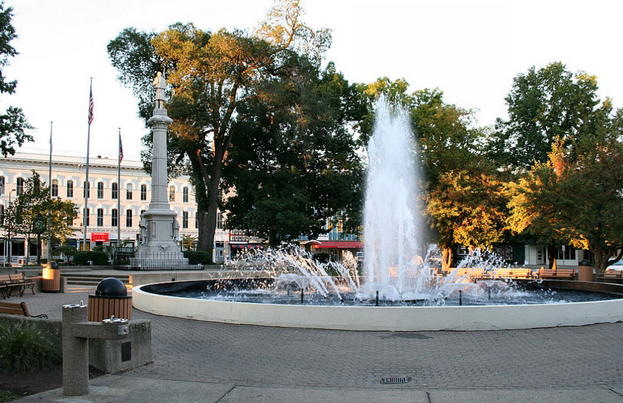 Elyria is home to many recreations, parks, schools, and businesses. One park Elyria is famous for is Cascade Park. Cascade is the largest most popular park in Elyria. Cascade Park contains a large playground and a large hill that is used for seating at the 4th of July fireworks show. People also can go walking, jogging, and sledding during winter months. Elyria is also home to the sport company Riddel, which makes football gear. Maintenance that makes or breaks property management? Maintenance can make or break the value of a property, depending on the house or building, and it’s one of the primary responsibilities of a landlord or property manager. 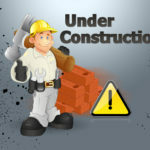 If you’re dealing with a new house or property, questions of maintenance probably aren’t that big of a deal yet. It’s new and maintenance hasn’t yet become a big expense or concern. However, even with a new property, maintenance is something that needs to be set up in advance with a property management company. To what degree will the maintenance a property management company provides effect you as landlord? The truth of the matter is, if you have a system in place, less time and expense end up getting spent trying to fix problems on the fly. One thing we definitely recommend is that you have the property inspected at least once or twice a year. Obviously, with some properties, in certain situations, you may want to schedule them more frequently. It really depends on your comfort level. Another important consideration is the furnace. Obviously, if you let a furnace go unchecked it can burn a house or property down. That’s probably not something you want to have happen, so here at Realty Trust Services we put a priority on making sure the filters are regularly replaced. Something you can also set up with your property manager is a furnace plan. Depending on what kind of plan you agree upon, that can greatly reduce the potential cost of maintenance on your heating system. We also recommend that, at the very least, the gutters are cleaned twice a year. There’s a lot of moving pieces and things that can break in any property and a conscientious property manager can provide you with a consistent peace of mind by putting together a schedule to make sure important maintenance is seen to on a regular basis. Costs are always changing, but maintenance is critical and it’s something you should never be afraid to ask about. You need to know if you’re looking at an hourly rate for repairs or if it’s just a flat fee for a work order. Typically with larger jobs, you’ll get an estimate. In emergency cases where maintenance has to be done overnight or as quickly as possible to keep from damaging the property or risking the health of the tenant, having a property manager ready to roll to take care of those problems can be a godsend. But the greatest value of maintenance is that it’s preventative. Paying a relatively small price now to make sure everything is in working order and good condition can save you a lot of money if something goes wrong. If you have any questions about any of these topics— or anything else related to property maintenance— please feel free to send us an email, give us a call, or leave a comment below and we’ll be glad to help. Have a great day— be a great landlord. Should your Cleveland property manager be a portfolio or departmental setup? Why I should care? 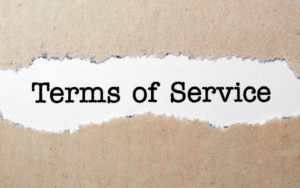 When signing up with a management company check your terms of service see if someone will be responsible for servicing you or if you will be lost in a sea of departments. Departmenta or portxa what style you might ask? And why are we talking about this? Well if you are a landlord looking for great service from a property management firm you should know this and be asking about this from the prospective firms you hire. There are two major ways property management firms are structured to provide service as well as a multitude hybrids. 1) Portfolio – Properties are assigned to individual managers. 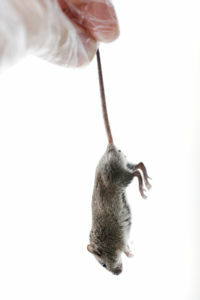 The tenants and owners know who to talk with when they have a problem because there is one person responsible. Benefits – One person is responsible for the success of the client / customer. There is no confusion on the part of the client on who to call about a given issue. For the management company everyone knows how to do everything so the company is much deeper with more people around that can meet any need as it arises. This makes for a more stable situation. Downsides – This requires a lot more training. A portfolio manager must master a diverse set of skills sets. Collections. Maintenance. Sales. Marketing. Conflict resolution. Accounting. Its hard to find someone that has this wide breadth of knowledge to even start training. A manager is always going to have some strong points and some things he or she does that they are weaker at. 2) Departmental – There are multiple departments. A tenant or owner must call in and talk to a random person in the pertinent department when they want an answer. Benefits – It is much easier to train someone and get them good at doing a narrow area. At somethings they might end up getting a much greater expertise which means that item may be done better. Downsides – There is a disconnectedness between departments as each person has no context for the story of what is happening with a property, owner or tenant. People are less likely to take ownership. Proactive communication with the owner is less likely to happen and when there is communication with the owner it will be generally limited to the department of the person communicating. If an employee is on the phone about a maintenance issue they won’t be able to also say and by the way your tenant hasn’t paid either which might be kind of nice to know and even dictate how everyone precedes. After studying lean service organizations and talking with many of our colleagues across the country we have found that the benefits in terms of using the Portfolio structure far out way the benefits of the departmental structure have have chosen to make switch our structure. This is also based on feedback we have gotten from talking to our own clients about what they want and need. Ultimately having better trained employees that know more about your properties and have a relationship will always benefit our clients. If you are interviewing property management companies be sure to ask how they are structured to serve you. expect the experience to go from start-to- finish. of the work order, and ends in the green box, the follow up. So what is our specific process for work orders that come in? First, every work order is labeled with a work order number and an address. phone can’t be expected to make sense of that. So our goal is clarity. broken? How broken is it? Is it broken all the time? make sense of the problem that needs to be fixed. the quality or their description. problem than the tenant. Which is always fun. expensive than we anticipated. Which is, of course, a call to the owner. to follow through with that repair to the end. failure on our part as the property manager. Once all this is done, we move on to the green box which is the follow-up. total cost, how much should be billed to the tenant (in the case of tenant-caused damage), etc. owner’s account and pay the vendor. professional and how well they performed their work for the tenant. So this is our system. I know it may seem complex hearing about it, but it’s reasonably simple. It’s a few steps but when you lay it out a lot of it can be done in one or two fell-swoops. Ultimately, it’s about maximizing time and making sure things get done correctly the first time. give us a call, or leave a comment below! I wanted to take some time today to go into a little discussion on our company mission statement and our values here at Realty Trust Services. Whether you’re a new employee, a potential owner who’s considering using our property management services, a current owner we work with, a tenant, a potential tenant… whatever the case may be, this is meant to be an exercise in one of our guiding values: education. Why is this our mission and how do we work towards it? One, I think it’s what people want more than anything when they deal with our company. Two, I wouldn’t be able to remember anything longer than that, so it had to be something simple and direct that we could focus on and strive to deliver. I want to create a certain end effect when anyone associated with Realty Trust Services dealt with other people. Whether those people be owners, tenants, co-workers, vendors… whoever it might be… when they go to bed at night— at least if they’ve just interacted with us— to hopefully sleep a little better; a little more peacefully. Now, obviously, achieving peace of mind is a little more complex than interactions with your property manager at whatever level you’re interacting with them on, but that’s the idea. I believe that, if we can deliver peace of mind, it’s kind of a win-win solution. It’s something that we can give to others that they can, in turn, give back to us. That’s a lifestyle choice and that’s what I want. Everything we do at Realty Trust Services should be focused on creating a positive feedback loop. We can all accomplish so much more if we’re in that mindset as opposed to the less-than-positive interactions that often pervade this industry. So how do we deliver peace of mind? To that end, I came up with three values that I feel are foundational. I believe these three things will help us to accomplish that mission of delivering peace of mind. 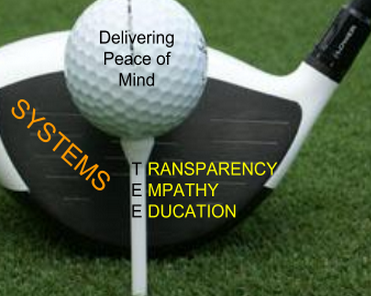 Our systems which are infused with the character and principles of transparency empathy and education are what will allow us to keep the promise of “delivering peace of mind”. The mission is a golf ball sitting on a golf tee. Or, in this instance, a T.E.E. T.E.E. stands for Transparency, Empathy, and Education. Transparency means that you tell the truth, even if it’s bad news or no one wants to hear it. You know people will be upset by it, but you tell them anyway because they need to know. You tell the truth even though it might be painful at that moment. Transparency gives you the freedom to get on with finding a solution. There’s no need to avoid or dodge or hide from the issues. All of those things are distractions from providing the excellent service it takes to create positive, trust-filled interactions. So the idea of transparency is that we admit our mistakes. There’s no room for ego in a high-performance team. Once we agree that everyone is on the same side and we’re all trying to provide each other peace of mind, we can bring people together. So owners aren’t just trying to operate their property for the cheapest price possible, tenants aren’t just trying to get whatever they want out of any given transaction, but everyone’s actively trying to work together. At first, that may seem a little more expensive one way or another, but, when you’re working together for a common purpose, things start to happen that are synergistic. Maybe the tenant takes care of the property a little bit better so the owner is a little more willing to see to the tenant’s concerns and spend money to make things better for them. These things work in a positive circle. If you look at it systematically, oftentimes what you do will be different and the vision and values are what organize the system and allow us to get the result we’re after. That’s why it’s so important to talk about it and think about it. Ultimately, the effect of high transparency is that the trust in a relationship is much higher and that gives us the framework to work together more effectively. Empathy is when you have a sense of what others are feeling. Many people don’t know how to experience empathy, for a number of reasons. Sometimes it’s just how they grew up. You model certain things from your parents and other sources and they may not have demonstrated empathy for their own unique reasons. Trauma can be another reason why a person isn’t good at empathizing with others. Trauma can create the inability to have any kind of feeling, let alone an empathic one for someone else. If you start to feel like emotions are painful in general— positive or negative— you make yourself disconnect. That happens to more people than you might expect. Regardless of our own natural propensities, we always seek to insert empathy into our interactions. Empathy is one more thing that increases the trust in the process of what we’re trying to achieve. And trust is so vital. It makes everything else better. I recently read a book called The Upside of Irrationality by Dan Ariely. One of the interesting experiments he did was he would intentionally irritate people. The opposite of empathy. They created these situations where people had the opportunity to take advantage of them and they tested whether or not being intentionally but mildly rude to the person beforehand affected their behavior. What they found was that 70-80% of people would not take advantage of a difficult situation if they were feeling respected and there was a trusting, empathetic relationship. On the other hand, an overwhelming majority of the people when they were irritated would take advantage of a vulnerable situation. These were ordinary people like you or me who weren’t really bad bad folks in general— you wouldn’t consider them to be dishonest or anything like that— but the same person that was not irritated would not take advantage of a situation where the irritated person would. My point here is that empathy is important, especially for landlords. It’s important that we show empathy to our tenants because it’s going to make a big difference in how they treat the property. Landlords sometimes forget that giving a tenant ownership of the occupancy of a property in their name for a time, makes them hugely vulnerable during that occupancy period. Even the smallest sense of unfairness on the tenants side can massively increase the likely hood of vengeful thoughts and behavior in what would be a otherwise be a quite reasonable tenant. Relationships mitigate risk. Having that empathic relationship and caring makes a big difference for everyone involved. Yet there’s this fear of empathy. Some people feel like they have to be mean or rude to someone if they disagree with that other person. Say, for example, that a tenant is being unreasonable in asking for something. One of the rules that I’ve created to help us maintain a high level of empathy is that we will always seek to find a solution, even if we aren’t it. Last winter, a tenant asked me to come plow their driveway. There was a foot of snow out in front of this duplex. Well, we don’t operate plowing services for properties under five units. So I had a choice… I could have said, “screw you, we’re not doing it,” or I could try to identify with their concern. I chose the second option. I expressed my sympathy with their situation and then I provided several potential solutions. I tried to provide some ideas on how he could solve the issue of needing the driveway cleared and I even sent him over some tips on driveway shoveling. So I provided him with some vendors who could do the job and, in the end, everything worked out as a win-win. I could have just said no. And, I suspect that, if I had done that, he might have dug in and started looking at city regulations trying to find an angle to force us to do what he wanted. There are two ways that scenario could have gone and I’ve seen it go the other way too many times because people weren’t thoughtful enough to make an empathetic response. It’s not that hard, but it makes a huge difference, and that’s why I say empathy is such a big part of our mission here at Realty Trust Services. Education is a long-term effector. It usually doesn’t get immediate results, but, over time, education improves us all. It improves the quality of our relationships, it improves who we are as individuals, it changes our character, it changes our skill level, and it changes our interactions. It gives you more options for doing more and getting more accomplished. And, on top of all of that, it makes people feel that you’re dependable and concerned with improvement and it gives them a little more peace of mind. Most of the time, education is an upfront expense. You have to spend time and— sometimes— money investing in resources and you have to put in the hours to get the work done to learn whatever it is you’re working toward. But it’s a worthwhile investment because it’s an investment in people. And education is universal. Employees should be educators, just like the business owners themselves. I’m doing putting together this blog to educate and I’m actively trying to get the people I work with to do the same and provide their knowledge to tenants and owners. Education happens at a lot of different levels. Sometimes you’re just educating people on the fact that you know what you’re doing and that they can depend on you to do it well. Manuals and processes are education because they let us learn important systems. By creating a manual that anybody can use to do something we can easily get everyone in an organization armed with knowledge that lets us deliver a consistent service and, thereby, peace of mind. If something is consistent, you can trust it to work out. Here at Realty Trust Services, we offer incentives to employees who actively read books and work to improve themselves with various training materials. I particularly recommend business-related and self-help materials that help people grow and interact more effectively. Education sharpens everything it touches and makes entire systems work better. The last piece is the systems we use to keep everything running smoothly. Having these systems in place makes our business much less chaotic and lets us set parameters on how we start and end certain relationships and how we do everyday tasks. Covering our T.E.E. with a “club” of streamlined systems takes us further and faster towards achieving our mission than we could ever do alone. With years of investment property and property management experience our expert team can relieve you of the burden of managing your rental property while saving you some serious money! Call us today at (440) 220-7300 to see how we can help you!